Palisade's half-day Risk Analysis Conferences will be an opportunity to hear presentations by EpiX Analytics. At Palisade's Sep. 14th event, at the Hilton Garden Inn Denver Downtown, Francisco Zagmutt will give a presentation entitled, "What matters and what doesn't: building pragmatic and robust simulation models with applications to oil and gas and beyond". Dr. Huybert Groenendaal's presentation on Sep. 15th, at the Denver Marriott Westminster, is entitled, "Lessons from two case-studies: How to Build Accurate and Decision-Focused @RISK Models". ﻿Stop by to say hello! While important for a company's bottom-line, forecasting sales commission can be very challenging. 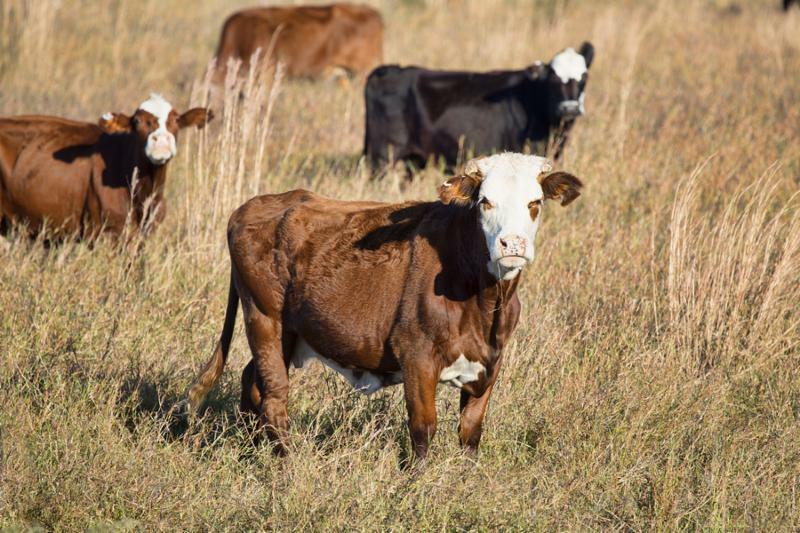 Uncertainty in future sales performance and diverse and complex sales commission structure can result in large forecasting errors when using "best estimates" by sales management. This 5-day class covers the basic principles of risk analysis, essential probability and statistics theory, stochastic processes, core risk modeling principles, and incorporates the latest innovations in modeling methods.Case studies guide participants through the steps in developing a risk assessment model. Here is the course content . 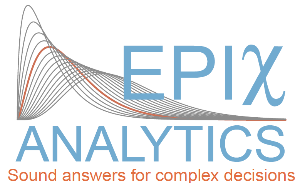 EpiX Analytics is offering a 3-day workshop in Quantitative Risk Analysis and its application to translational research in drug development, in collaboration with local partners Nuventra and Dr. Cathrine Leonowens. The workshop will be held at the offices of Nuventra Pharma Sciences in Durham, NC. The workshop will focus on important risk modeling principles and methods applied to translational research in drug development, while guiding participants through the main steps of building risk analysis models. Participants will be provided with hands-on applied examples using the free R statistical software, and examples will also be developed using @RISK with Excel. Thanks to the case studies that guide participants through the main steps in developing a risk assessment model, it provides participants with the skills to effectively use a risk modeling software environment, while learning good practices and common mistakes to avoid. The course content is available here. In this 2-day course, you will gain understanding about a project's risk and uncertainty, and develop better insight into how risk analysis can improve the operational management of risks during a project. You will achieve a better understanding of how risk analysis can increase the accuracy in your project cost and project schedule estimates. Check out the course content .